A pair of large festive holiday bells with a colorful bow make up this Christmas stationery. Gold crosses, snowflakes, and vines are hidden in the background, set within a dark green border. 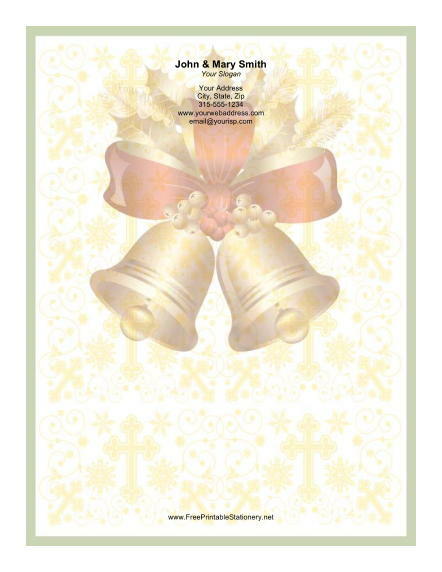 Festive letterhead like this is perfect for annual Christmas newsletters.